Top-quality driver, iron, and wedge fitting from a CERTIFIED MASTER CLUB FITTER really matters. That's why CCCGOLFUSA uses FLIGHTSCOPE launch monitor and V1 PROFESSIONAL swing video analyzer to pinpoint the improvements that will get results right away. Detailed data and exacting standards guide the completion of each custom crafted golf club. Each club's grip, length, shaft flex, and head structure are perfectly matched to your swing. If you really want to get more out of your golf game, custom golf clubs can definitely help. We custom craft WISHON's Sterling single-length IRONS, KRANK's world long driver champion DRIVERS, MALTBY's KE4 ultimate performance HYBRIDS, Hireko counter-balanced PUTTERS, and many more. Here at CCCGOLFUSA, much of our business comes from client referrals because satisfaction is guaranteed, and clients become our friends . Get supreme personal attention. Call or text at 615-495-4868. Mention this website, and any single club in your bag will be regripped for free! If you're looking for CERTIFIED CLUB FITTING or CUSTOM CLUBS, contact CCCGOLFUSA in Lebanon, Tennessee. 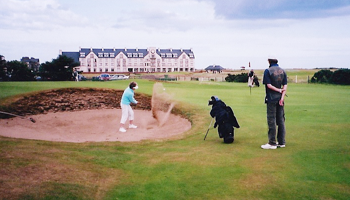 We also offer GOLF INSTRUCTION and club REPAIR-reshaft-regrip services. Sometimes just a small fix can totally transform your swing. 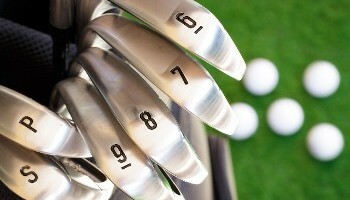 Ask about our eight-club tune-up for $24 or a NEW GRIP FREE: 615-495-4868. FLIGHTSCOPE FITTING: If your clubs don't fit properly, you will continue to struggle for fun on the golf course. You won't have to worry about that with the help of CCCGOLFUSA. We start with detailed athletic measurements followed by a FLIGHTSCOPE launch monitor and V1 video session on the outdoor range. Fittings are conducted at Lebanon Golf & CC. Using select shaft/club combinations, we will find your optimum game improvement prescription. You will receive a BEST FIT PROFILE document to keep. It's professional club fitting done right. A driver or iron fitting session is just $75. Match your fitting with custom club components from KRANK, WISHON, AIRFORCE ONE, SWING SCIENCE, KBS, TRUE TEMPER, GOLF PRIDE and other quality makers of heads, grips, and shafts. Call or text today: 615-495-4868.